With its tremendous 1.52 billion daily active users since December 2018, Facebook is the unmatched most popular social media platform in the world today. This staggering richness of audience activities helped push Facebook as the top social media platform with the best marketing ROI. But, interestingly, Facebook is constantly changing — from updates in user interface and policies to ranking algorithms — it can be a bit tricky for eCommerce businesses to get updated and keep up. So, what’s new for eCommerce Facebook marketing this 2019? If you are looking for new ways to promote your online store using Facebook this year, then we have carefully curated trending eCommerce Facebook marketing strategies that you shouldn’t miss. This guide will help you stay relevant with your target audience, reach new audiences, and keep ahead of the competition. Since its launch last 2017, Instagram Stories Ads have been embraced by many savvy marketers and sellers to engage their brands with Instagram users. This success propelled Facebook to introduce Facebook Stories Ads to advertisers a few months ago. 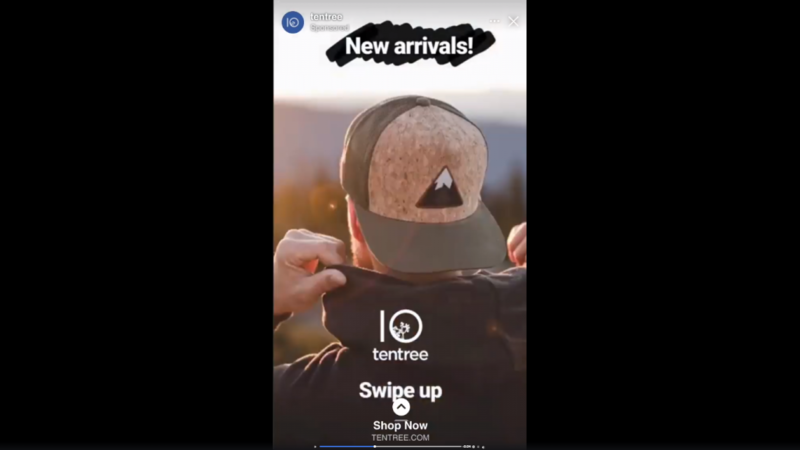 With already more than 300 million people using Facebook Stories daily, eCommerce stores can now create ad placements in Stories to engage with their target audience. The addition of advertising within Facebook Stories can help you reach a broader and more diverse audience with creative freedom, enabling you to put together storytelling and marketing into one accessible channel. 56% visited the brand’s website to obtain more information about the product or service. 50% searched the product or service on websites where they could purchase it. 38% recommended to someone about the product or service. The rise of Augmented reality (AR) and virtual reality (VR) mass adoption has provided a new avenue for eCommerce businesses to design a more immersive shopping experience for customers. And Facebook’s banking on that opportunity too. At the F8 developer conference earlier last year, Facebook announced that it collaborated with businesses to use AR to show off products in Messenger. Soon, the AR Ads will become more broadly available for advertisers this year. One of the main challenges of online shopping is the inability of customers to try the products in person prior to purchase. With this AR Ads rollout, consumers can now combine AR and VR to streamline their shopping experiences because they can virtually try the product — from choosing the right color to carefully inspecting the products. This can help eCommerce stores create experiences that break the barrier of the physical and digital world by enabling people to feel present, without having to visit physical stores or to physically hold the product. Over five years ago, Lookalike Audiences have been introduced to help advertisers and marketers alike to identify the audiences who are more likely to be interested in their business. While it is still a powerful tool to expand a brand’s reach, did you know that there’s an updated version to that? Value-based Lookalike Audiences is a recent enhancement to the previous Lookalike targeting, enabling businesses to grow specific cohorts of their audience based on the value to their business. Learn more about Value-based lookalikes targeting. With this trending enhancement, advertisers can now add a value column to their entire customer list. This is then used by Facebook to build an additional weighted signal for the right people who are most likely to buy your products after seeing your Facebook Ads. Today, the potential of value-based lookalike audience targeting has been widely received in the eCommerce industry to find new audiences with the highest value and probability to buy. 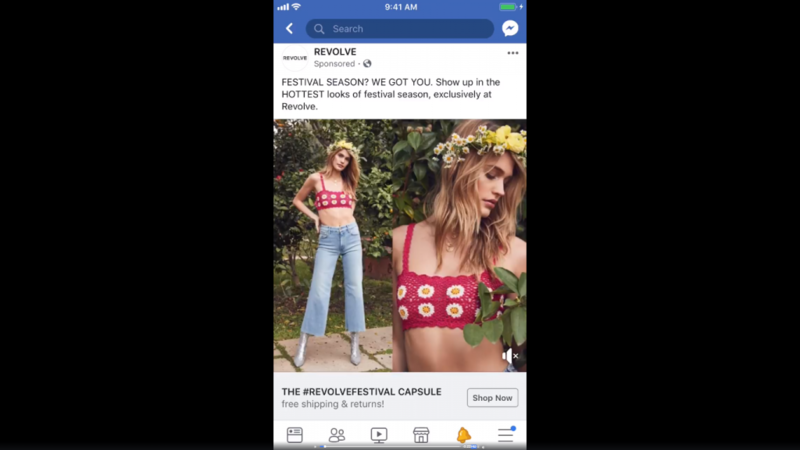 For example, Revolve, a US fashion eCommerce retailer, has designed value-based lookalike audiences by using its website traffic to display Facebook Ads to higher-value millennial customers. This 2019 eCommerce Facebook marketing has successfully resulted in a 5% increase in incremental purchases and a 36% lift in incremental purchase value. Source: Facebook Business. Facebook Live daily watch time has even grown 4x over the course of a year and will still continue trending. If you’re posting contents on Facebook, think of live video contents that can spark conversation and ignite engagement among your followers. This will help you perform well on Facebook’s new algorithm and take advantage of the growing number of people who are devoting more time watching live broadcasts this 2019. 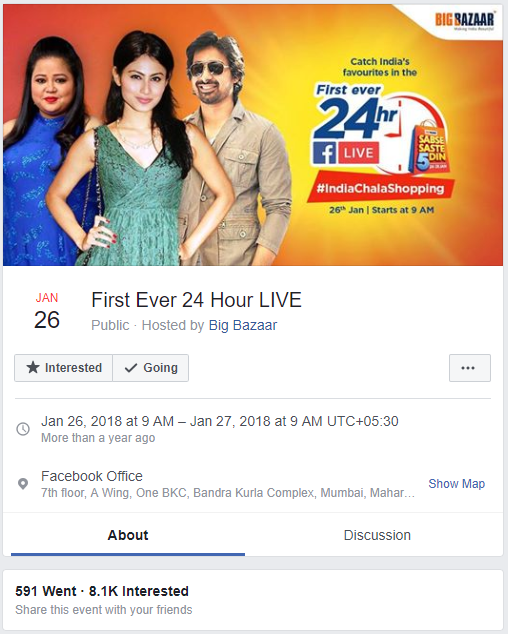 For example, Big Bazaar hosted the world’s first 24-hour Facebook Live shopping event last January 2019. Part of the live broadcast was the distribution of exclusive hourly coupon deals. At the end of the Facebook live broadcast, 113,050 coupons were redeemed at 64% redemption rate. Expect that the success of this world’s first 24-hour Facebook Live broadcast will continue rising over the next few months. For example, Deciem, a Canadian skin care company benefits from Facebook groups. There’s a group called Deciem Enthusiasts which shares product reviews and skin care regimens involving Deciem products. As of writing, the group already has amassed more than 10,000 members. You have to include your community building in your 2019 eCommerce Facebook marketing as it sparks conversation within your audience and your band. Engage with Facebook groups related to your brand. As an individual, you can join Facebook groups that are closely linked to your eCommerce store ideals and goals. For example, if you are an online clothing store owner, join or engage with Facebook groups that talk about fashion and lookbooks. 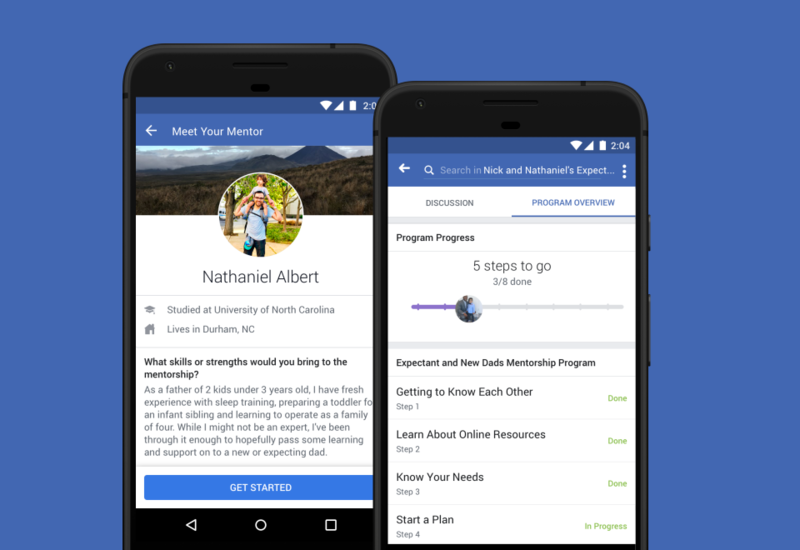 Another ongoing trend in the Facebook Group realm is the expansion of the Mentorship, a tool that connects people who may need support and advice with people who have the expertise and experience to help. They rolled out the expansion last quarter of 2018 now allows people to find mentors and mentees in Facebook groups. Last 2017, overlays for dynamic ads were introduced to let advertisers automatically add price and discount tags on creative assets for product ads. While convenient for advertisers, the tool was limited in branding and individual campaign flexibility. 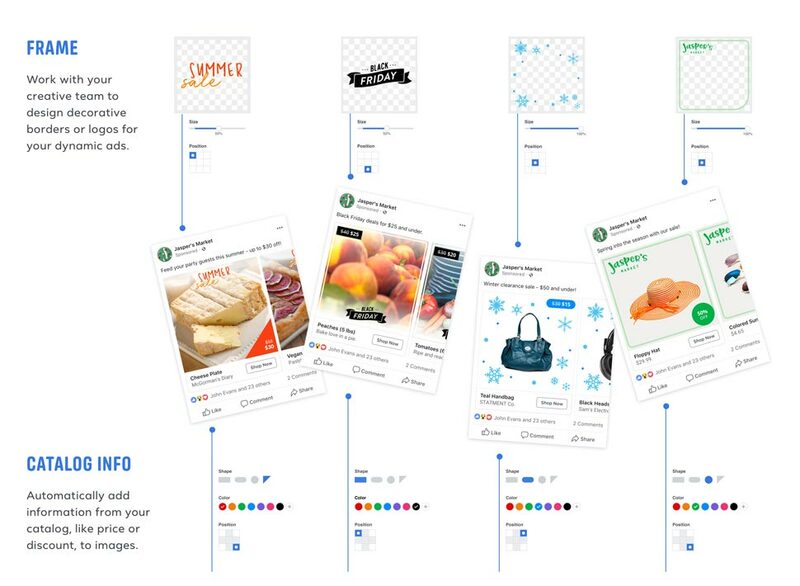 As of today, the new overlays have been enhanced to let businesses design customizable creative templates for their dynamic ads per campaign. It allows an easier and more compelling way to showcase your discounted products at every campaign level. For example, if an eCommerce Facebook marketing is about a Black Friday campaign, then advertisers can now use their own Black Friday overlay to promote their discounted items. This new overlay helps you create dynamic ads suitable for any type of holiday campaign or even non-seasonal promotions throughout the year, saving you time and effort to create visually stunning creatives and giving more focus on gaining sales. In fact, the two major retailers that beta-tested the new decorative borders last Q4 2018 increased their return on ad spend by 40% each. If you haven’t heard about Instant Experience, now is the perfect time to get acquainted with this recent Facebook tool. Three years ago, Canvas was introduced as a mobile advertising solution that allows a full-screen and post-click experience that loads almost instantly from ads in Facebook feeds. Today, Canvas was phased out to give way to Instant Experience, including more capabilities to help businesses with different objectives and now 15 times faster than standard mobile websites. What makes it different from other Facebook advertising solutions is its ability to go beyond the confines of a typical News Feed Ad, immersing the audience to your campaign even more compelling without having to leave Facebook and navigating off to another site. It attracts more and more businesses to try Instant Experience Ads to enable people with a seamless experience. Instant Storefront: allows eCommerce businesses to sell products in a grid format so people can browse more of your products in one place. Instant Lookbook: showcase your products using a lifestyle image. Instant Customer Acquisition: drive customer actions by showing offers with a clear call to action. Instant Storytelling: use images and video to give people a better feel for your brand. Instant Form: enable your audience to easily share their contact details to learn more about you. An Instant Form Ad allows you to run a lead generation campaign capturing contact information like names and email addresses without having to redirect the users to another link. This prevents them from bouncing away. Source: Facebook Instant Experience. If you are catering to a market with rich WhatsApp users, then this new Facebook Ads feature can help you quickly start a WhatsApp conversation with your customers from an ad on Facebook. 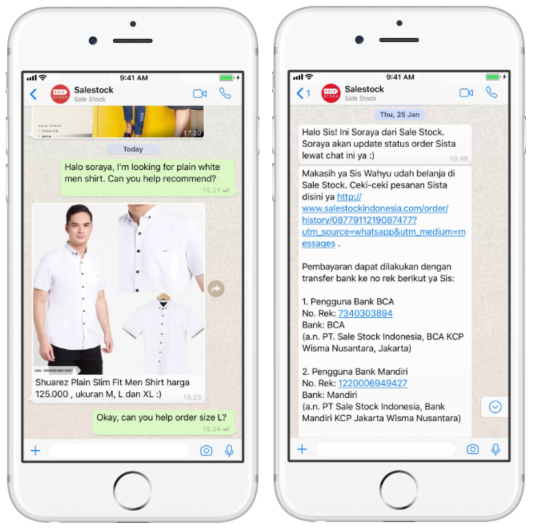 This new eCommerce Facebook marketing trend can send messages to people who initiate a chat with your business or who request that you send them information via WhatsApp. This WhatsApp Business API can notify your customers with shipping confirmations, appointment reminder, etc. You can also use this to reply to queries or feedback for free within 24 hours. Facebook’s unprecedented popularity among consumers makes it an irresistibly hot marketing channel for eCommerce store owners and marketers. The rich hub of audience and engagement allows eCommerce Facebook marketing as highly targeted as possible. You can segment your audience according to your key demographics, geographical location and even up to interests and behavior. With so much to gain, you should fine-tune your online store’s strategies today by following our trending 2019 eCommerce Facebook marketing to help you engage with the right audience, spark the conversation, and convert them successfully.